‘Solah Shringar’ means 16 Bridal Adornments that encompasses sixteen steps that women follow for her beautification from head to toe at the time of wedding. This ritual has a very sentimental value for an Indian bride-to-be, as the sixteen adornment rituals are actually what helps her transcend into the beautiful bliss of being married in India. During this ritual, before the wedding, the bride is equated with the divinity of Goddess Lakshmi, who is the goddess of prosperity, fertility and beauty in Hinduism. In fact, this ritual is a celebration of the beauty of the woman and according to the Hindu mythology. Apart from weddings, the ritual of the Solah Shringar is also performed on various important religious occasions and festivals. In fact, queens of medieval times used to perform the Solah Shringar whenever they made public appearances. Solah Shringar has lost its mythological association and is seen more as a makeover. The Solah Shringar ritual has now been taken into beauty parlours and salons where trained beauticians help the bride-to-be in looking resplendent. Hence, it is not really mandatory for brides these days to go through the entire 16 adornments, as a more ‘customized approach’ towards the Solah Shringar is popular amongst the modern brides. Traditionally, the intricate process of Solah Shringar commences with the oiling and washing of the hair. The hair is later dried and tied into a traditional hairstyle, which is usually a bun or a long braid which is embellished with flowers and hair accessories. The complexion of the bride is then enhanced with a mixture of turmeric powder, sandal powder, gram flour and oil, which is applied as a scrub, and then follows the ceremonial bath. 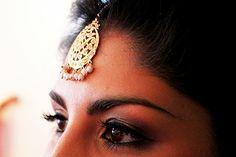 The bride wears a big bindi between her eyebrows and small red and white bindis which are applied in alternate colors for adorning the upper ends of her brows. 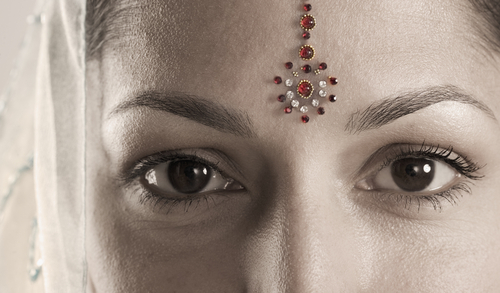 The bindi is symbolic of married life and has religious implications as well. Traditionally, it used to be applied with the help of the vermillion powder, but now the sticker and gem-encrusted bindis are popularly used. 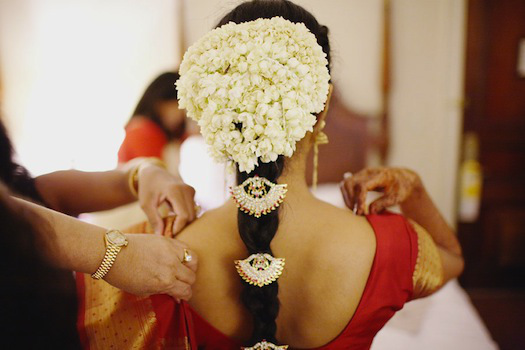 Sindoor or vermillion is a red-colored powder that is applied on parting of the bride’s hair by the groom. This ritual has a sacred significance and is akin to the ring in Western countries. The colour red is to denote marriage and the well-being of the husband. Maang tikka is a hair accessory that adorns the forehead of the bride. It is usually made out of gold and precious gems. The maang tikka is worn in the central hair parting and extends till the forehead. This ornament increases the charm of the bride as it highlights her face. Eyes are accentuated with Anjana or Kohl or Kajal, which is applied on the edges of the eyelids to make the eyes look attractive. Earlier, Kajal was prepared by collecting the soot of an earthen lamp by lighting a wick in clarified butter or ghee. However, the modern Indian bride uses strong black eyeliner to achieve the Kohl eye look. 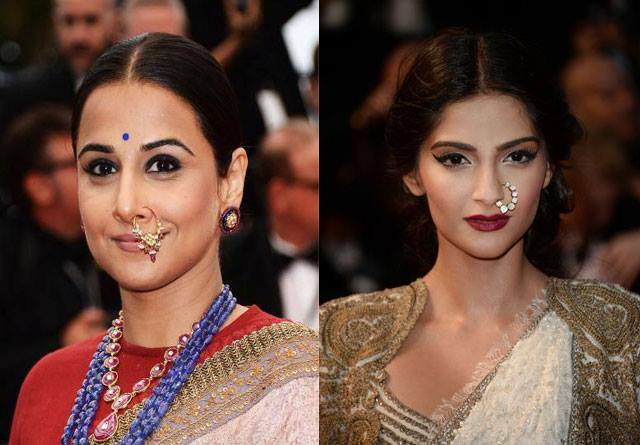 The bride also wears a nose ring in her left nostril, which again is symbol of marital life. This ornament provides the bride with the traditional ethnic Indian look. The ornate nath, which is comprised of clusters of gems or pearls, is supported by a gold chain, which is fastened behind the ear for support. The Haar or the necklace is another adornment which is symbolic of prosperity. 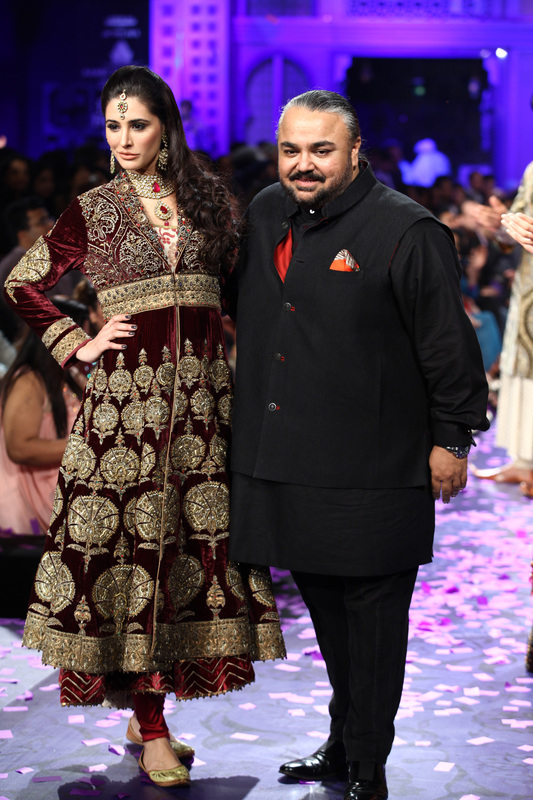 Usually, the modern Indian bride prefers wearing a single chic necklace with traditional kundan or polka work. In fact, diamonds are also a favourite amongst modern day brides. A souvenir from the husband to his wife is Mangalsutra, – necklace made out of gold and black beads. Karn Phool or earrings is another important element of Bride’s makeover. 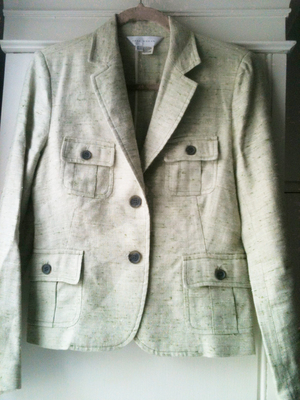 It is worn complementing the haar or necklace. The most popular Karn Phool or Earrings worn by the brides are the Jhumka. Others include heavily designed earrings in Kundan, meenakari, diamonds, etc. made mostly in Gold and Silver. 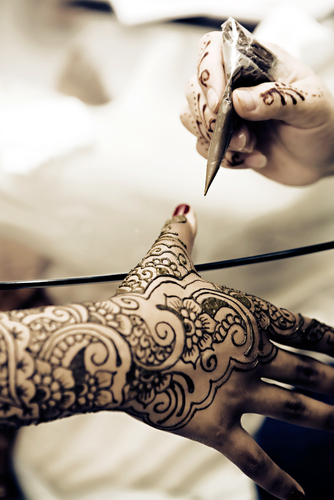 Mehendi or henna is the most important ritual of Indian culture – be it Wedding, festival or ceremony. Followed by Hindu as well as Muslims, Mehendi or Henna defines celebrations. Applied on hand and feet in intricate designs, it is an element that makes the bride look different from the rest with her feet and arms. The red or almost crimson marron color of Mehendi is considered to be auspicious and signifies love between the couples. It is mandatory for the bride to don both gold and glass bangles, which signify the long life and prosperity of her groom. This visible sign of marriage is usually worn in red or green colors and can be made out of iron, ceramic, gold, glass or metal. 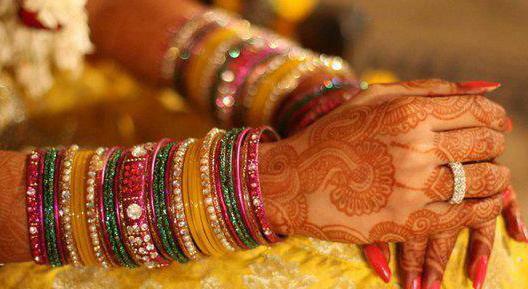 Bajuband, also known as armlets, is worn by the bride on the upper part of the arm. It is common to see Rajasthani and South Indian brides wear them. Baajuband is either made of gold or silver and can be embellished with gems or pearls. Haathphool are the eight rings (barring the two thumbs) that the bride wears on both her hands. These are attached to a central flower adornment on the upper part of the hand. 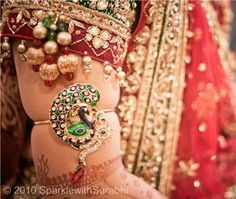 Apart from wearing eight rings in the fingers, the bride also wears the Aarsi which is the thumb ring.The Aarsi is usually set with a mirror which enables the bride to get a glimpse of the groom. The reason behind this was that earlier, the brides had veils which did not give them an opportunity to see their husband to be. This stands for the hair adornment. Usually the bride ties her hair in a traditional braid or bun which is then embellished with gold ornaments and flowers in particular. 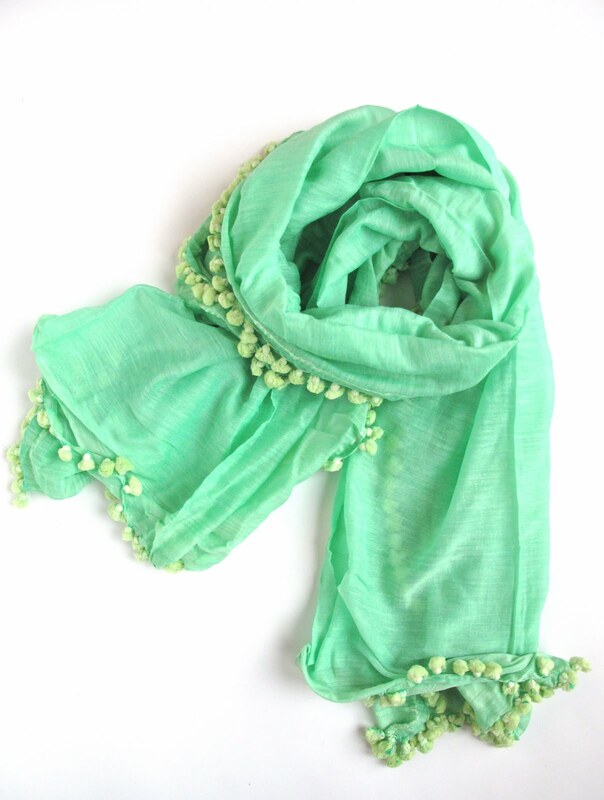 Jasmine flowers are traditionally used because of their long lasting fragrance. Kamarband is the waistband that enhances the graceful shape of a female silhouette. This ornament is made out of gold and embellished with gems. Furthermore, this ornate belt also helps in keeping the dress or sari in place. Payal also known as anklets are chains of silver or gold with chiming beads and designs hanging to it. While, the bride walks in these anklets, it signifies the entry of Goddess Lakshmi. Bichuas stands for toe rings which are made in either silver or gold. They are usually worn on the second toe and are significant of married life. In a lot of regions in India, this is also worn as fashion accessory. Itar or scent or perfume is another element of the Solah Shringar as it lets out a fragrance which keeps the bride smelling fragrant throughout the long duration of wedding rituals. The traditional bridal dress colors are red, green, maroon, and golden and the attire can be with a salwar kameez, saree or lehenga which is embellished to perfection in order to make the bride look resplendent and special. The Solah Shringar ritual has undoubtedly changed from its earlier form as the modern Indian bride has become fashionable and trendier. The minimalistic bridal look has become the most sought after, even if it includes cutting short the 16 rituals to 10 or even less, as only certain aspects that go well with the overall bridal look are incorporated. There are certain aspects of the Solah Shringar such as the waist band, anklets and haathphool that a modern bride chooses to forego due to the latest trend of wearing a minimalistic chic look. Diamond jewellery has taken the place of the chunkier traditional gold ornaments. 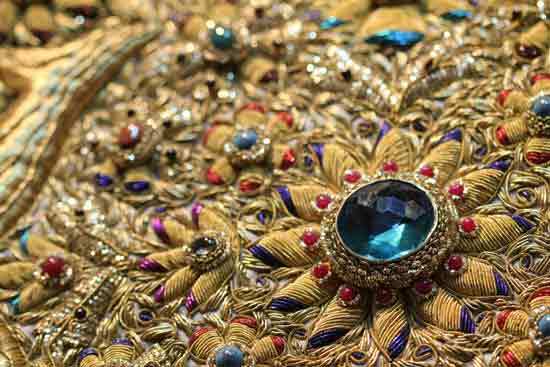 However, gold is also making a comeback with traditional forms of craft such as polka, kundan and meena work which gives off an antique finish. When it comes to bridal attire, a lot of inspiration for bridal wears and color combinations come from Bollywood movies. For instance, Katrina Kaif started a trend with her fuchsia and lemon green wedding ensemble in ‘Singh is King’ and Kareena brought the sharara back into vogue by donning one at her own wedding. In fact, a lot of brides choose to pick their wedding dresses in colors other than red and maroon. Modern brides have become more experimental as they sport unconventional colors such as blues and purples, which are in contrast to the more traditional kind.